The next annual Barry Buddon Open Nature Day takes place on Sunday 19 August 2018 commencing at 10am. It is an Open Day event. 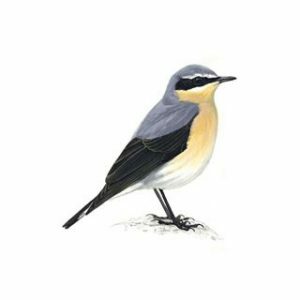 The day will start with a series of presentations from local clubs representing The Scottish Wild Life Trust; The Royal Society for the Protection of Birds; The Scottish Ornithological Club; The Angus and Dundee Bird Club and The Dundee Naturalists Society. Previous Barry Buddon Open Day 4th June 2017. Those wishing to attend should proceed (via the Monifieth Football Pitch car park) to the BBTC Main Camp Car Park situated on the large area on the left hand side as one enters the Camp Compound . Following the aforementioned presentations attendees will be requested to car share thereby avoiding congestion. They will be free to join any one of four groups representing their specific interests i.e. Birds, Butterfly’s, Plants/Orchids etc and Moths. 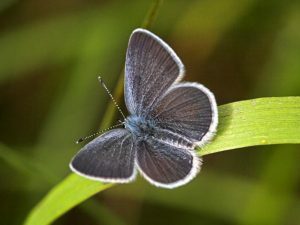 Barry Buddon is home to the largest colony of Small Blue Butterflies in angus. A recent survey up and down the Angus coast has revealed this rare species is sadly in decline. Obviously any of the local clubs represented on the day would welcome anyone wishing to join them. The day normally ends at 4 pm but anyone can leave earlier if they so wish. There is no charge for attendance but Health and Safety must be observed in the interests of all present. Finally do bring a pack lunch if attending and wear attire suitable for the occasion. 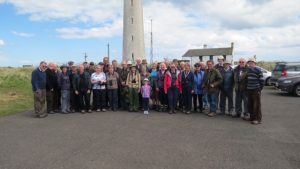 Carnoustie Community Development Trust (CCDT) members will be aware that shortly after the Trust’s launch a new forum known as ‘Friends of Barry Buddon’ was established. All Trust members automatically become ‘Friends’ on joining and the forum is intended to be used as a conduit to provide residents in the Carnoustie catchment area with information relating to Barry Buddon Training Centre (BBTC) activities and how we, the public, can assist the range staff in the execution of their duties and responsibilities. These primarily concern safety and conservation and, in common with similar facilities elsewhere, the area benefits from restricted public access. Naturally public safety is of the highest priority and can only be assured by members of the public themselves following the well advertised conditions regulating access which are displayed at all access points to the training area and are repeated below for ease of reference. Two Male Wheatears (Spring Migrant Birds) were recently spotted between the two lighthouses. It is a summer visitor and passage migrant. Birds breed mainly in western and northern Britain and western Ireland. It winters in central Africa. It must also be appreciated many species of flora and fauna survive on the site that would otherwise be lost if the area was freely accessible. The historic site has been in continuous use as a military training area since 1897. Most of the area is also classified as a Site of Special Scientific Interest (SSSI), an EU Special Area of Conservation (SAC), and a Special Protection Area (SPA) for birds under the European Birds Directive.